Arranging valuable social skills activities is one of the most critical challenges parents face as their teenager with Aspergers (AS) or High-Functioning Autism (HFA) enters adulthood. Skills like these are important in fostering a sense of independence in the young adult, and a feeling of lasting security for his family members. The capacity of young adults with Aspergers to care for themselves reflects the need-based education and services they receive as kids and adolescents. With a rich educational background focused on proper behaviors and social responses, many Aspergers grown-ups go on to become contributing members of society with families, social lives, and careers. 1. Although it is typically your first instinct to talk first, listening can actually be an advantage. A primary benefit of listening is the amount that can be learned. If you spend most of your time talking, then how can you learn anything? One of the best ways to be viewed as more likable is to be a good listener. It’s not always easy, but listening tells others that you are genuinely interested in them as a person. 2. Appropriate social interactions for young adults with Aspergers provide benefits in areas of development that extend beyond building social skills. Group activities improve the capacity for relationships, promote communication, and build solid life skills. These peer-based activities can take place (a) in a setting that is structured for optimal learning, or (b) in a setting that is relaxed and casual for having fun and learning to successfully cope with others. 3. 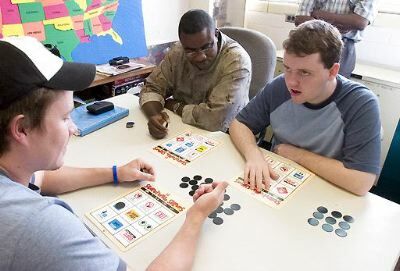 Classes of all kinds provide well-rounded social skills activities for Aspergers adults while teaching them useful abilities that will last a lifetime. Examples of group-based classes include: (a) acting and drama classes; (b) art classes in mediums such as painting, sculpture, or digital design; (c) music lessons that focus on group cooperation; (d) singing, choir, and other ensemble voice classes. 4. In many communities, there seems to be a greater focus on activities for Aspergers kids rather than grown-ups, but there are valuable services for all age groups with Aspergers. If you're looking for suitable activities for an adult with Aspergers or HFA in your life, try speaking with your doctor or local hospital. You can also get out the yellow pages and search for local nonprofit agencies that provide Aspergers services (e.g., parks and recreation services, group-based respite care, employment services that focus on social interaction, Aspergers day programs or camps that feature social activities, etc.). 5. Physical activities provide adults with Aspergers valuable opportunities to exercise. When engaging in group recreational events, these individuals reap many social benefits from exercise and sports activities. For example, (a) gymnastics improve flexibility and muscle tone in a safe, fun, and social environment with adults of similar interests and backgrounds; (b) martial arts help improve motor skills and muscle tone while teaching Aspies how to build lasting social relationships with others; (c) soccer and basketball benefits these young people by teaching them how to cooperate with others in order to reach a specific goal, and it heightens appropriate feelings of social camaraderie and pride; and (d) swimming is a safe and enjoyable social activity suitable for most young Aspergers adults. 6. Recent research examined the effectiveness of the Program for the Education and Enrichment of Relationship Skills (PEERS) for young people ages 18 to 23 with Aspergers and HFA. The researchers utilized a randomized controlled study design. The study group utilized the PEERS program administered by parents. Results were measured via self-assessment and caregiver-assessment. The researchers found that young people who participated in the PEERS program reported “improved knowledge in social skills” and also reported “feeling lonely less frequently.” Parents reported observing “significant improvements in empathy, social responsiveness, social skills, and spending more time with peers.” The researchers state that the findings suggest that the PEERS social skills training program is an effective instrument in helping young adults with Aspergers develop social skills. 7. Sometimes, the best social opportunities arise from networking. Get together with other families that have older teens and young adults with Aspergers and coordinate activities (e.g., acting or singing competitions, cooking lessons, game night, matinees, park picnics, storytelling, etc.). While it's important to provide structure, it's also a good idea to allow Aspies to relax and enjoy themselves freely. 8. There are plenty of opportunities to show cooperation and teamwork in all areas of life. Whether you are in a crowded store or heavy traffic, cooperation will make the experience more manageable. If you are driving a bit slower than some, move to the slow lane and allow others to pass. If you are grocery shopping, don’t leave your cart in the middle of the isle. By being aware of those around you and showing consideration, you will be more likable. 9. When a young adult with Aspergers reaches the age of 22 in the U.S., the public school system's responsibility for his education and welfare comes to an end. This means that parents and friends must try to discover which social skills activities will most benefit the “Aspie” and fill the vacancy that forms after his education ends. 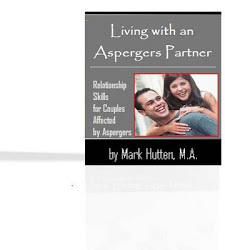 Like kids with Aspergers, adults with Aspergers benefit from a constant reinforcement of the social skills they learned earlier in their lives. To leave this area of life skills unattended may lead to regression, depression, or even health problems. 10. While there are many therapies that are appropriate for young adults with Aspergers, treatment really depends on the Aspie’s response to the diagnosis – and responses can run the gamut from joy to anger and everything in between. Some adults are overjoyed, because finally everything makes sense to them (e.g., why they can't hold a job, keep a relationship, etc.). They have blamed themselves all their lives, but now they have a framework in which to understand their difficulties and their strengths. 1. One of the most respectful things a husband can do for his wife is to laugh at her attempts at humor. Lots of men, over time, forget this loving gesture. You say your wife isn't funny? So what? Neither is your annoying boss – but you laugh at his lame jokes. Why? Because you're trying to prove you respect him. Hello! 2. Apologize when you're wrong. Sure it's tough, but just try it and watch something wonderful happen. 3. Do some chores you lazy bum. The average woman without children does 10 hours more housework a week than her husband. Come on! Get with the program. 4. Don't walk out the door without a ‘see-you-later’ kiss. You only need to set aside 3 seconds a day for this task. A kiss in the morning, a hug after work, and another kiss before bed can produce a lasting feeling of intimacy – and will only cost you about 10 seconds of your valuable time. 5. If you continue to respond in the same way that has brought you pain and unhappiness in the past, you can't expect a different result in the future. Just one little shift can make a big difference. If you usually jump right in to defend yourself before your wife is finished speaking, hold off for a few moments. You'll be surprised at how such a small shift in tempo can change the whole tone of an argument. 6. I’m a man, so I can say this: In the course of arguing with their wives, many men fail to realize that, consistently, they are wrong. They just are. They’re trying to be right, of course. But they’re failing at it. They can’t help it. It’s the nature of things. Men are taller, stronger, hairier and wronger. It’s a fact that they should just get used to. Thus, you should be doing a lot of tongue-biting and pride-swallowing from this point forward. 7. No clothes on the floor. You ain’t no teenager! Dirty stuff in the hamper, put the rest away. 8. Remember you are not a victim. It is your choice whether to react and how to react. 9. Remember you can't control anyone else's behavior. The only one in your charge is you. 10. Touch her frequently. As you pass by her on the way to the living room, give her upper arm a quick, affectionate double squeeze. As you're walking to the dinner table, put a guiding hand, lightly but surely, on her lower back. When she's standing at the sink doing the dishes, come up behind her and give her a kiss on the back of her head. 11. Try walking into a room with the mindset of your wife who spends a good chunk of time cleaning it. Ask yourself, "If I were a neat freak, what would bother me in here?" Suddenly, the unwashed coffee cup on the counter, your son’s sneakers under the table, and the newspaper crumpled on the couch will reveal themselves to you. Act accordingly. It'll take just seconds, but over time, the payoff can be exponential. 12. When you're in the midst of an argument, are your comments directed toward resolution, or are you looking for payback? If your comments are blaming and hurtful, it's best to take a deep breath and change your strategy (i.e., shut the f*** up!). 1. Self-control techniques have been used in the treatment of both aggressive and anxious adult Aspies, and given the difficulty that some Aspies have controlling these emotions, it may be advisable to make this deficit a key target of interventions for these individuals. Aspies develop better self-control over their emotions by learning to recognize the physical signs of anxiety or anger (e.g., heart pounding, muscle tension, etc. ), by practicing positive self-talk (e.g., “I’m upset right now, but I need to stop and think before I open my mouth”), and the utilization of relaxation techniques (e.g., muscle relaxation, deep breathing, etc.) to reduce emotional arousal and delay an immediate response to a stressful situation. This will permit careful reflection (e.g., problem solving, cognitive restructuring, etc.) prior to taking action. 2. Problem-solving skills are common to cognitive-behavioral treatment targeting behavioral or emotional problems. Adult Aspies are helped to think of several possible solutions to a given problem, and to reflect on the positive and negative consequences of each in order to choose the strategy that will maximize positive consequences in both the short and long term. 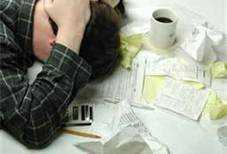 Aspergers adults who get frustrated easily rely too heavily on aggressive solutions, whereas depressed adults often default to avoiding their difficulties. Problem-solving skills can be used in either case to broaden the repertoire of constructive coping strategies and enhance decision-making. Decreasing depression and anxiety related to low-frustration tolerance would be beneficial in itself for the adult with Aspergers, but it may have the added benefit of reducing negative moods that render the individual vulnerable to engaging in explosive, emotional and reactive aggression. 3. Reframing techniques have been used to deal with aggression, anxiety, and depression. The central feature of reframing is to identify thoughts that increase anger, anxiety or sadness, challenge their accuracy, and replace them with interpretations that are more realistic and less harmful. With regard to anxiety, a person on the spectrum may learn to recognize that her anxiety levels rise when she assumes that all of her coworkers would “think she is stupid” if she made a few typos in a business letter. Instead, she may be encouraged to take a more realistic view, recognizing that everyone makes mistakes, and that when other people make mistakes, she does not usually think badly of them. To reinforce this perspective, the adult might use some encouraging self-talk (e.g., “It’s alright to make mistakes from time to time …that’s how I learn to avoid making the same mistakes in the future”). Applied to address emotional difficulties, reframing techniques are often used to emphasize that there is more than one way to explain the actions of other people. Aspergers adults who are easily frustrated over things both big and small face a complicated array of social and emotional challenges, and it is imperative that they recognize the full extent of their difficulties and tailor interventions to match their complex needs. 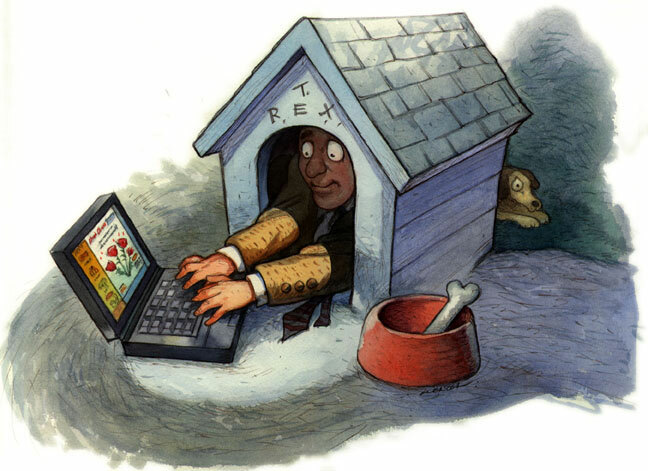 More research is urgently needed to create and evaluate treatment strategies that integrate cognitive-behavioral strategies for the therapeutic intervention of both behavioral and emotional problems. In the meantime, therapists who work with these adults may broaden the focus of existing clinic-based interventions by flexibly applying techniques such as cognitive restructuring, problem-solving skills training and self-control skills, along the lines described above. Parents may play a key role in advocating for their older teens and adult children with low-frustration tolerance, seeking referrals where appropriate to mental health centers where individual therapy may be provided, as this may be a particularly appropriate context to tailor interventions to the specific needs of the adult Aspie.